Skincare rituals are vastly different from culture to culture, but the women in France seem to be doing something particularly right. Of course, Americans have always had an infatuation with the French, but their objectively more effortless, less neurotic approach to beauty makes us wonder: What can we Americans do to make our skincare products and habits a little more… Français? According to Sophie Strobel, a French skincare guru from Talika's research and development department, "The main difference between the French and American beauty routines is cultural. … In the USA, they have a very Protestant, Puritan approach to life and thought in general, and in France, we're very 'Latin.' We're hedonistic, and we don't like obligations." These cultural values translate to skincare in that they motivate Americans' obsession with hygiene (how many times have you heard the words "squeaky-clean skin?"). "[Americans'] skin has to be over-clean, cleansed like you clean your sins," Strobel says. "They take a long, long time in the bathroom, and they have a precise routine. … What always surprises us in American movies is when a girl goes to refresh herself in the bathroom before making love. That doesn't exist here in France!" Meanwhile, the French skincare regimen is "less controlled, more natural, and instinctive." As Strobel says, "We like to take pleasure in every task we do (like eating! ), we don't like pressure, and we tend to criticize the rules." The French embrace imperfection and consider spending more than a few minutes on their daily routine a waste. French women also tend to perceive American girls as overly made-up and fixated on looking flawless. "But secretly, we envy their wonderful hair, their unmatched complexion, and their perfect wardrobe—but this is only between you and me," Strobel confesses. American women tend to be more attracted to products that provide instant gratification and would do anything to conceal imperfections. Here's the other fascinating thing about French skincare: You'll rarely catch a French girl at the dermatologist's office unless she has some sort of medical issue, like psoriasis or allergies. Generally, the French like to avoid prescription products whenever possible in favor of natural, plant-based formulas. That's not to say they don't seek professional skincare advice. "As a preventative measure, French women begin getting facials at a younger age than Americans," says Regine Berthelot, a French esthetician and Caudalie's director of spa education. In between facials, they keep their routines down to a few core products: cleanser or micellar water, moisturizer, perhaps a gentle exfoliator, and a weekly mask. All others are considered extraneous. "American women tend to be more attracted to products that provide instant gratification and would do anything to conceal imperfections," Berthelot explains. But the French way is "less is more." [In France], we like to take pleasure in every task we do … we don't like pressure, and we tend to criticize the rules. 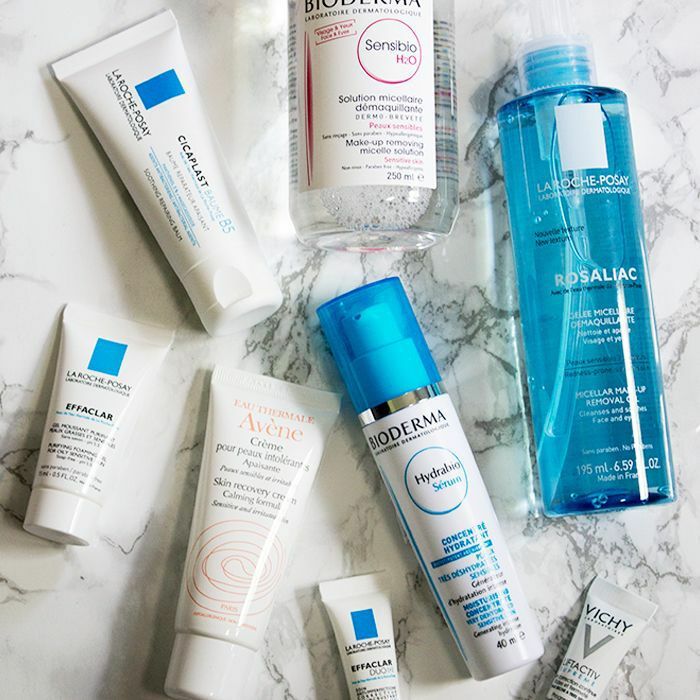 To learn how to make our skincare routines a little chicer, we asked three French skincare gurus to give it to us straight: Keep scrolling to discover the six American products a French skincare expert would never recommend (plus, what to use instead)! When American women get a pimple, generally our first instinct is to do whatever it takes to kill it as quickly as possible: We'll lance it, squeeze it, laser it, dry it out with spot treatments, and we'll even go to the derm and get it injected with cortisone. But the French are way more relaxed about blemishes. According to Berthelot, drying lotions have no place in the French skincare routine. 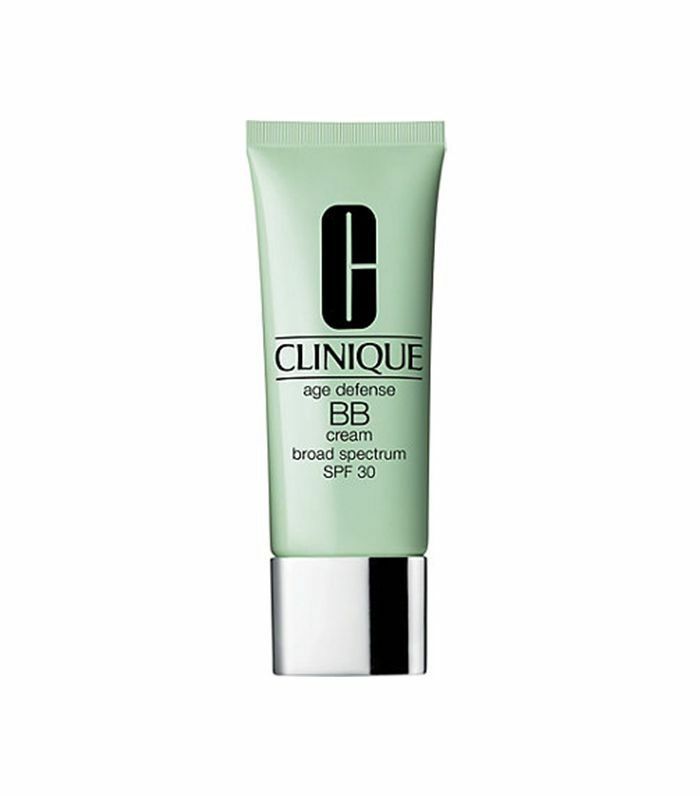 If pimples happen, they let them run their course, using a tinted moisturizer or BB cream in the meantime "to treat the skin while covering any blemishes." Daily exfoliation, especially with sonic cleansing brushes and intense face scrubs, is so not the French way. "Over-exfoliating can lead to irritation and broken capillaries," says Erin Gilbert, MD, Vichy consulting dermatologist. Instead, to make your skin French-girl glowy (but never irritated), Berthelot recommends using a glycolic acid serum (try Pixi by Petra Overnight Glow Serum, $24) or an all-natural brightening serum formulated with purifying essential oils (try Vintner's Daughter Active Botanical Serum, $185), no more than a few times a week. 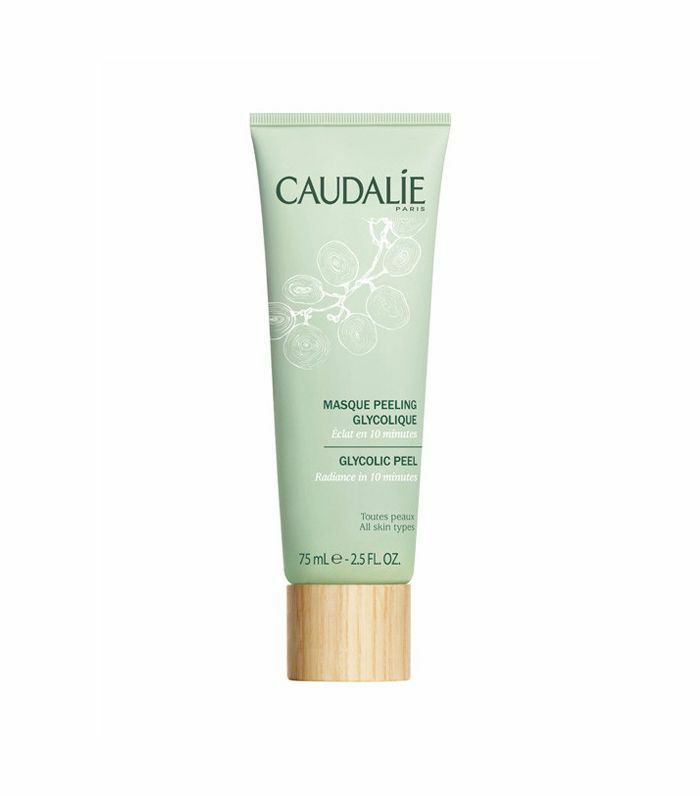 Caudalie Gentle Buffing Cream ($35) and Glycolic Peel ($39)—used just once a week—are also French esthetician–approved. Because we Americans have been brainwashed to value "squeaky-clean skin," we often opt for soapy, foaming cleansers, products a French girl would never buy. "Stripping the skin by using a harsh soap-based cleanser may make your skin feel cleaner initially, but ultimately it leads to dryness, an imbalanced pH, and removes some of the healthy bacteria you need to keep your skin healthy," she says. Micellar waters and gentle cleansers formulated with natural, hydrating ingredients are the way to go. The Talika pick above is loaded with brown algae, cotton, shea, and avocado oils to leave your skin feeling moisturized, never tight. "No layering," Strobel advises. "Less is more. While we Americans love our multistep acne systems, cleansing routines, and masks, the French prefer the opposite. The less you overwhelm your skin, the better it will be." 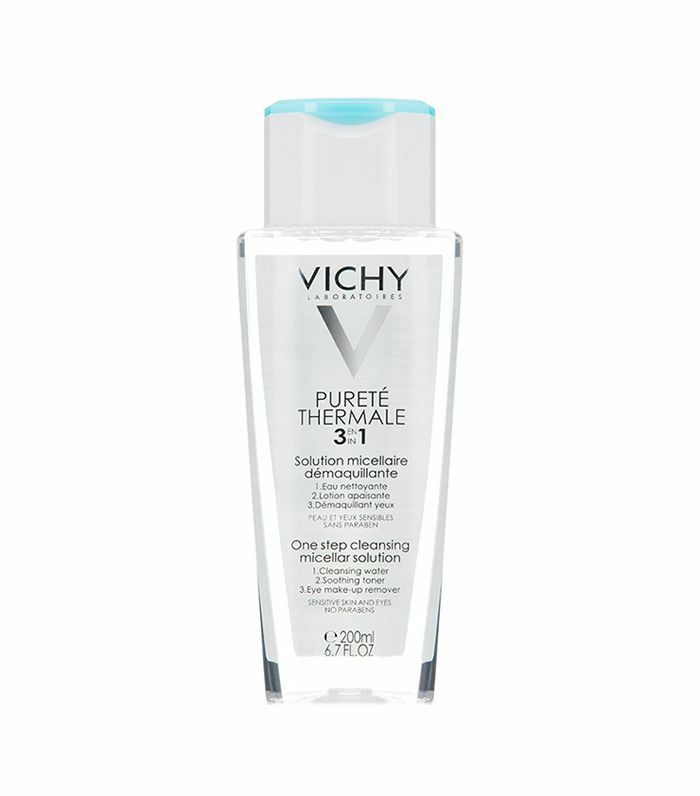 So why do one step in three when you can do three steps in one, like with Vichy 3-in-1 Micellar water? "It removes makeup and dirt like a charm, is non-irritating, and restores your skin's pH," Berthelot says. "I'll be the first to admit that makeup wipes make your nighttime beauty routine a breeze," says Gilbert. But the preservatives in many makeup wipes can be "irritating or too industrial strength to keep on your skin overnight." If you're addicted to your makeup wipes, at least make sure to wash off the residue afterward with a super gentle cleanser, like Cetaphil Daily Facial Cleanser ($7). And always follow up with moisturizer, arguably the most important step in the French-girl skincare routine. 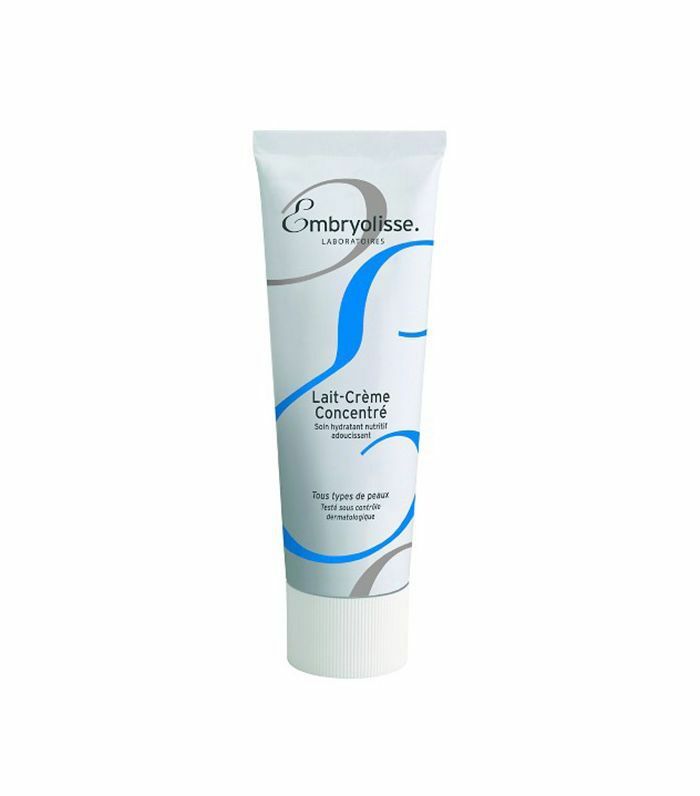 Makeup artists and dermatologists are all obsessed with Embryolisee face cream ($28), which Gilbert says "provides a ton of moisture, has a wonderfully rich texture, and is an affordable option for those who don't want to blow half of their paycheck on Crème de La Mer ($170)." Strobel says that French girls never use chemical sunscreen because they're filled with endocrine disruptors, but most mineral sunscreens are "too heavy" for everyday use. Thus, in the winter, French girls rarely wear any sunscreen at all. "Under the French climate, they're useless when it's not spring or summer, especially if you put on foundation [which naturally offers some physical sun protection]," Strobel says. But French dermatologists insist on applying sunscreen in the summer. "French formulas almost always have antioxidants, vitamins, or plant extracts," Strobel says. 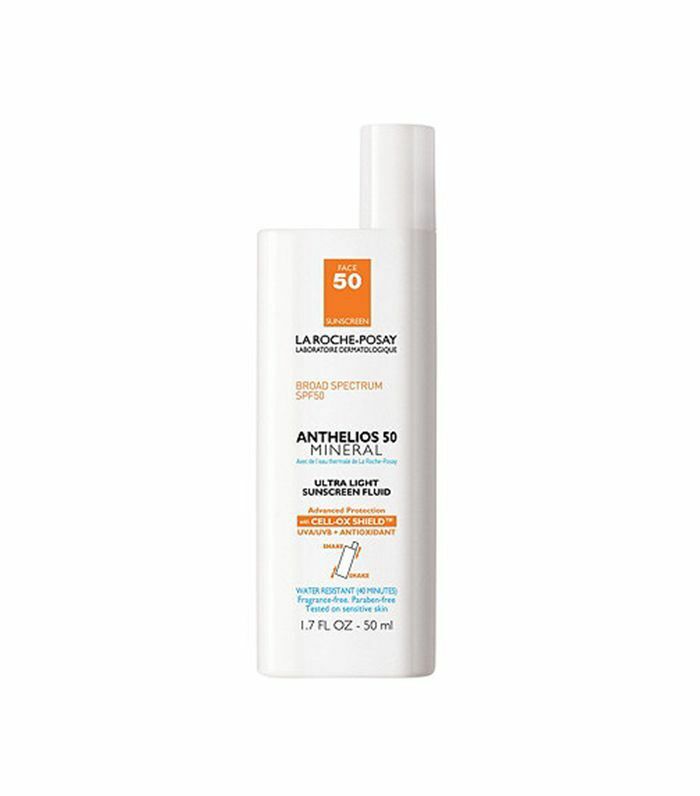 Try La Roche-Posay's tried-and-true SPF 50. Want more French beauty tips? Don't miss the seven things French women never do to their hair.